Pastrami reigns coastal. 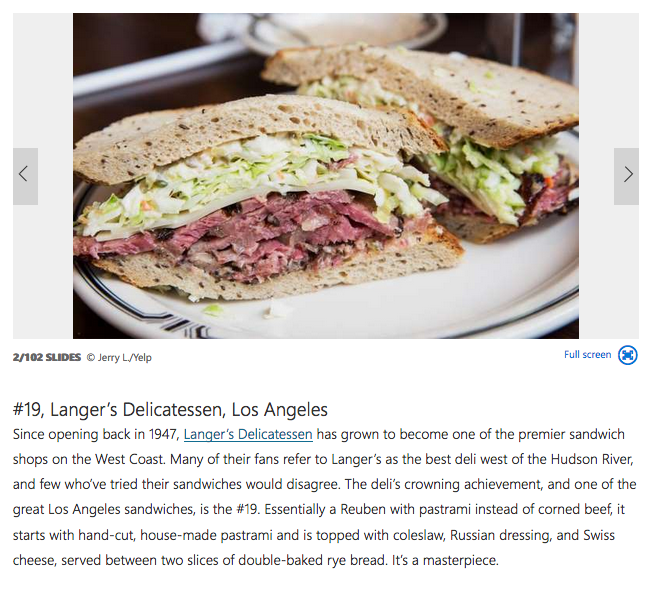 In Los Angeles, Langer’s is king, where spicy, peppery beef owes its mythic tenderness to a long stint in the steamer. The result ends up on a number of sandwiches, but No. 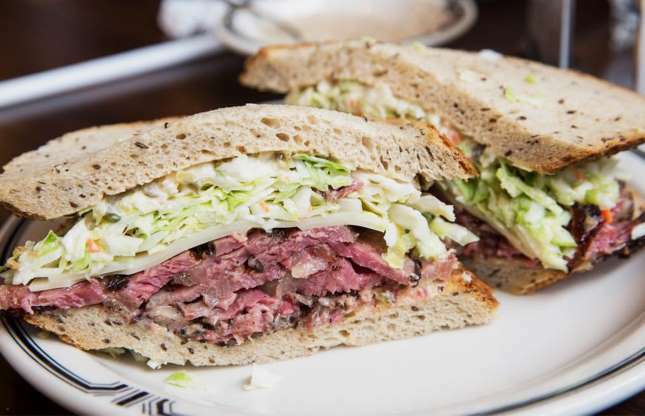 19 — pastrami topped with Swiss, coleslaw and Russian dressing on double-baked rye — is the gold standard for Jewish delicacies in L.A.